Now here’s a concept; a portable that, when at home, can take the place of a damn fine CD player. Load it with FLAC files at full CD quality and it will hold enough music to play non-stop for a week. If that’s not enough slip in a 200-gigabyte micro SD card and extend that to a month. When not in your flight bag it slips into a cradle that’s connected to your amplifier not through Bluetooth or Wi-Fi, but by reliable old cables – RCAs for analogue transfer, a coax if you wish to route digital signals to a digital-to-analogue converter. You may be the most dedicated of audiophiles, the fussiest of sound purists, but tell me you’ve never felt just a pang of envy when you see how people keep heaps of music on their phones. They pull the phone out and with a flick or a swipe or a tap they find exactly what they’re looking for and let it rip. The cover art is on the screen, the track list comes up with a click and, if it suits their mood, the player will find a whole lot of other tracks that will keep that mood going. Meanwhile you’re going all squinty-eyed searching for the right disc on the shelf. 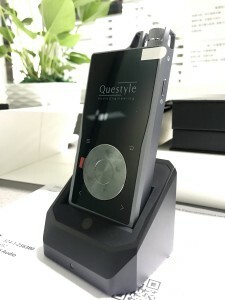 That’s the theory behind the Questyle QP2R, a big temptation for you to finally embrace the 21st century; all the quality you insist upon along with the convenience of MP3. 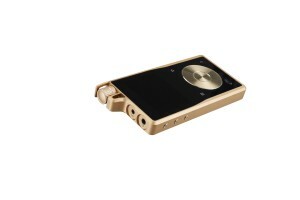 It’s a portable that stores and reproduces music brilliantly. It provides you with a vault of high quality digital music that, when you travel, goes with you. The internal battery will keep it playing for up to ten hours. It charges up again in the cradle or through a USB cable, so you can leave the cradle at home, its cable to the amp remaining undisturbed. The Questyle ain’t cheap. 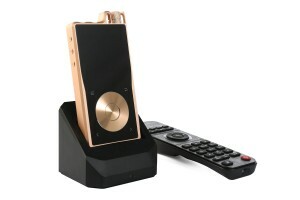 The QPR2 portable is $1999, the HB2 Hi Fi Hub cradle adds $999. And it turns out to be quite challenging to drive. I loaded it with a heap of music from the computer without any trouble but wrangling that music into some sort of order takes patience. You’ll need to download the user’s manual (which takes a while) and make yourself familiar with it. The HB2 cradle comes with a remote control common to a number of Questyle products and I couldn’t get it to work at all. It strikes me that Questyle may be an engineering-led company where the controls and menus make sense to engineers while all we mere mortals who are more into art and literature must struggle for understanding. I guess the trick is finding a retailer who knows how to drive it, asking for a coffee and sitting down with that person to have it explained. Thoroughly. And paying attention throughout. But it’s all beautifully made. Most functions are found and selected by the controls grouped under the screen. At centre there’s a button surrounded by a circular touch pad that I found vague. The large volume control wheel at the top is protected from knocks and sits beside a 3.5 mm headphone jack (doubling as an optical connection) and a 2.5mm balanced headphone jack. There are controls on the side for power, pause and skipping tracks. Sony’s WM1A Walkman ($1349) has twice the internal memory, up to 33 hours play time and it’s a lot easier to drive, but it doesn’t have a cradle. Okay, the Questyle’s operation requires some patience, but the reward is a portable doubling as a high quality source for your stereo.